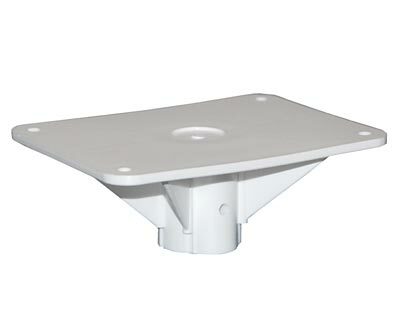 The Heath Universal Mounting Plate can be used to mount any wooden house or feeder that has an available base area of at least 5.75" x 4.375". The hard plastic mounting plate has four pre-drilled holes which secure to your item using wood screws (not included). This mounting plate fits the Heath Martin House Pole and the Nature House Martin House Pole and should be used when mounting a wooden house or feeder to a pole. It may also be used with any other pole that has a 1.25" outer diameter. Made in the USA. Note: This mounting plate is not required when purchasing any of the Heath purple martin houses as mounting hardware comes with each house.